Wendy Macnaughton explains her personal style and her "drawn journalism" publications, which she creates by spending a few weeks interacting with different communities. Illustrator Wendy Macnaughton demonstrates how to draw coffee cups and wine glasses. Wendy Macnaughton is an illustrator from San Francisco who works on a variety of projects, including her "drawn journalism" publications, which she creates by spending a few weeks interacting with different communities. She draws people, interviews them, and listens to their stories, then compiles the information into a book or collection of drawings. One of her recent books is about the people of San Francisco Public Library's main branch. 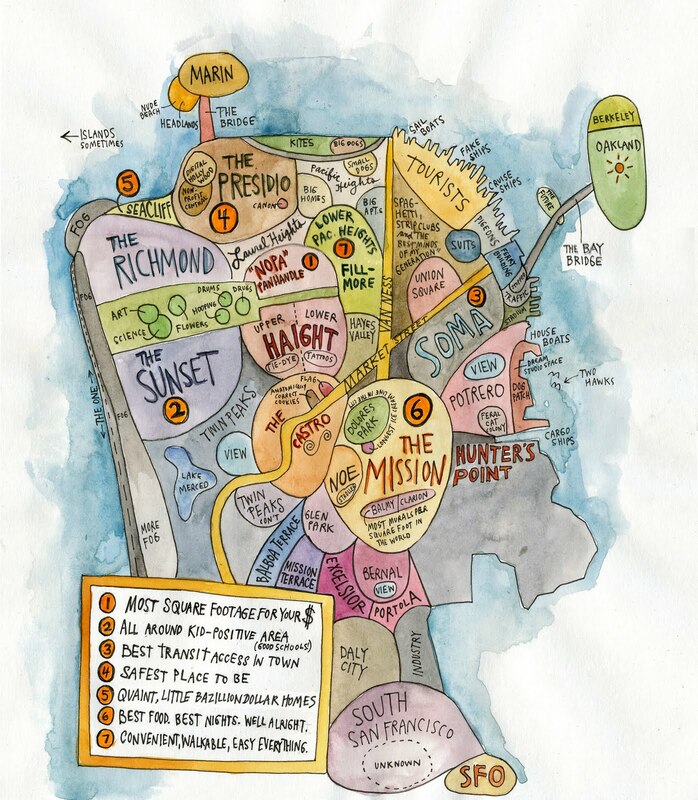 Some of Wendy's illustration projects are about San Francisco specifically, including a specialized map of the city, and humorous drawings about the types of people who call it home. She has published her work in The New York Times and The Wall Street Journal, and was responsible for special illustrated coverage of election night at the NPR headquarters in November 2012. Her newest project is a book called Lost Cat, a collaboration with author Caroline Paul. We visited Wendy at her studio to learn more about her projects and her approach to making art about real people. She gave us a lesson in how to draw coffee cups and wine glasses while channeling Bob Ross.